Music is the language of the soul, dance is the language of the body. Body and soul, music and dance conceive an instrument of expression through which the spirit communicates. Step to Success: A step to your success is anything that moves your order tramadol pharmacy life and your business forward. Whether it’s an app, a book or an idea, you can apply something today that can help you succeed. Today’s step is something that will help you when you need to make important decisions, and that is the word HALT. It is best to not make major decisions when you are Hungry, Angry, Lonely (Emotional) or Tired. So HALT from making a decision if you are feeling any of these. Freestyle Flow: I talk about why I’ve held onto towels I purchased several decades ago. Feature Presentation: 10 pieces. 10 points of view. I love the diversity in dance and Hip Hop. 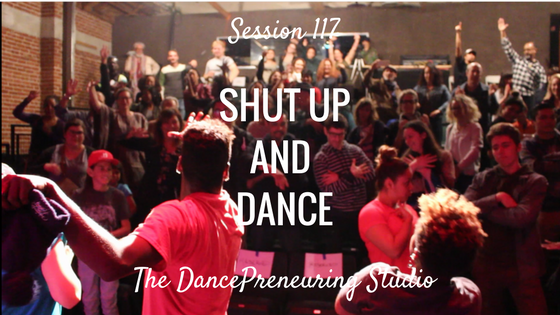 In this session, I review the Shut Up and Dance, Hip Hop Dance Festival at The Bootleg Theatre on March 31st, 2017.